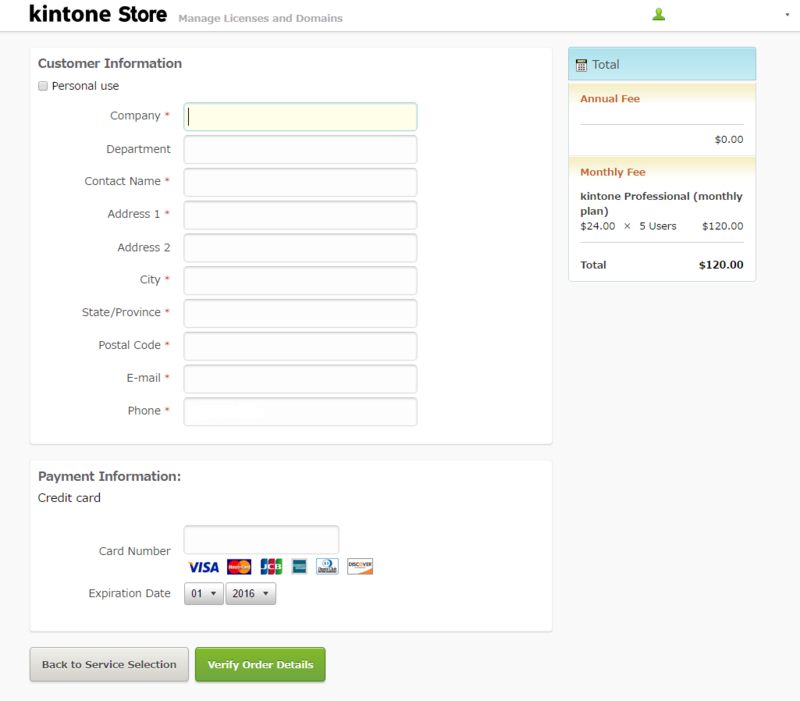 Update your credit card information for your Kintone subscription via the Kintone Store. Log in to the Kintone store. On the Services License tab, click Purchase. 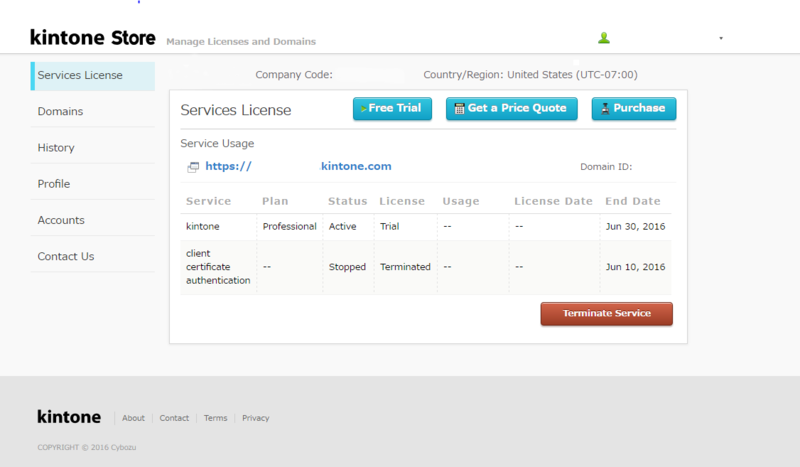 You will see the screen to manage Licenses and Domains. Select the service you are paying for. Enter in your Company information and Payment Information. Click Verify Order Details and you're done!